Weather experts are predicting that this February is set to be one of the coldest on record, with temperatures set to plummet over the next few weeks, bringing with it wind, rain, and possibly snow. With weather conditions worsening, this can be a dangerous time of year, making way for potential power outages, fallen trees, and injuries as a result of bad weather. In such situations, it is vital that response vehicles reach those affected as quickly as possible to help restore normality. For example, a blackout lasting just one hour can cost a large organisation £8,500 on average as a result of disruption to work or potential commercial liability – so the damage caused by a delayed response can be significant. With time being such a critical factor, logistics operators can help ensure that they assign jobs to the vehicle which is best placed to complete it the soonest. This can become complicated the larger the fleet gets, and the more locations they need to be dispatched to. Assigning the appropriate vehicle for the job is complex enough on a normal day, but in a situation where every minute wasted could be putting someone at further risk, businesses can help ensure their systems remain practical and efficient, even in the most high-pressured situations. Increased visibility across all the vehicles in a fleet is critical in helping rapid response teams react effectively. Dispatchers juggle a long list of considerations when assigning jobs. Shift times should not be overloaded to a dangerous level. The vehicle dispatched should have the appropriate resources and people for the job, and they should take into account travel times and vehicle locations to help make sure they arrive in the least amount of time. Intelligent job assignment capabilities help reduce restoration times for customers. With the advent of tracking software, connected intelligence and cloud computing, it’s now quicker and easier for fleet and managers to dispatch a large fleets of vehicles. Dispatchers can look beyond merely tracking vehicle location or monitoring miles and hours, and instead look towards advanced connected intelligence: coordinated event response, asset utilisation, work order management, safety and reporting. Technology can provide near real-time visibility across a fleet’s service vehicles, and is capable of situational awareness, automated vehicle tracking for efficient dispatching. This means that the most appropriate vehicle can be selected straight from a hand-held dashboard – without having to phone each driver individually – saving time, money and potentially even lives. The winter weather can also make road conditions treacherous, with dangerous combinations of rain, wind, ice, and longer periods of darkness thanks to the end of daylight savings time. 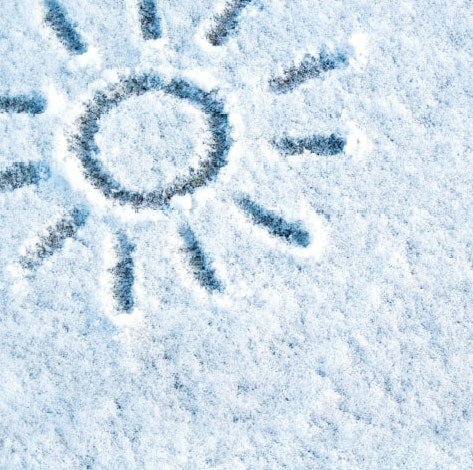 In fact, a study found that 71 percent of drivers had a dangerously poor knowledge of winter stopping distances. This concern is heightened when it comes to those who drive for a living, often over long distances for lengthy periods of time. Fleet managers who are responsible for the safety of their entire fleet – even in poor weather conditions – should take every step to help ensure that their fleets are being driven safely. Vehicle sensors coupled with fleet management platforms are now able to analyse a driver’s style and provide feedback to both managers and drivers in real time. Companies can use the data collected to help correct issues such as harsh acceleration and braking, before they become a safety issue. 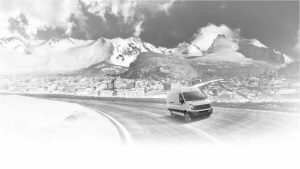 Furthermore, when completing daily DVIR checks on fleet vehicles to help ensure they are safer to operate in wintry conditions, it is possible to simplify the process by using an app on a smartphone or a tablet. This helps make the inspection faster and more accurate, and can also determine whether drivers have taken sufficient time to physically inspect the vehicle, safeguarding against any ‘pencil whipping’. With the weather set to get worse, risks on the road will be on the rise. For fleet managers, technology means that it’s now easier than ever to help keep everyone safer.